In this inaugural episode of the eCom Leverage podcast, I go over 6 reasons why brands who sell physical products cannot afford to ignore Amazon. I also discuss 3 objections I commonly hear from brands about selling their products on Amazon. If you don’t manage your Amazon presence well, you will lose brick and mortar sales. Being on Amazon legitimizes your brand – customers expect to find you there. Customers go to Amazon to read reviews and learn more about your products. Your Amazon product detail pages are arguably the most public-facing image of your brand. You will miss out on customers who were looking for your brand’s products on Amazon. You will miss out on new customers you could have converted who weren’t looking specifically for your brand. Objection: Having our products on Amazon will take away sales from brick and mortar stores. Reality: Doing well on Amazon can actually help brick and mortar sales, and vice versa. Not managing your brand’s presence well on Amazon hurts your brand, which hurts brick and mortar sales. Objection: Our product is one that you have to see and hold in your hands before you’ll buy it. Reality: You would be surprised what people will buy online. 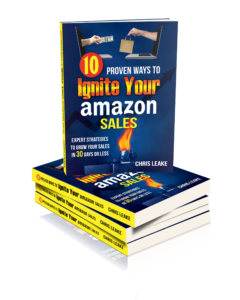 You are sure to be missing out on sales and brand exposure by not having your products on Amazon. Objection: Our customers know us and are very loyal – they know what stores to find our products in, so they wouldn’t be looking on Amazon. Reality: If you are not constantly gaining new customers, your brand is in decline. Amazon Seller Central (https://sellercentral.amazon.com) – Register to start selling your brand’s products on Amazon.